Using APKPure App to upgrade Eternity Legends, fast, free and save your internet data. - Non-stop combats with dynamic effects and diverse skill animations. - Numerous heroes from different cultures to collect and form the most powerful team. - Level Up, Tier Up and Rank Up your godly heroes, craft and collect rare weapons, increase combat power, equip gear for proper tactics. - Call for the help of allies in battlefield to overturn the battle and win against the opponents. - Adventure Mode: fight and capture cities around the world, collect gear and level up your gods. - Sky Scraper: challenge your limits by conquering many levels of increasing difficulty. - Star Gates: new challenges every day, collecting materials to get mysterious gods. - Super Boss: be careful when fighting with this gigantic creature if you don’t want to be slaughtered. - Global Boss: oppose against boss attacks with other players around the world. 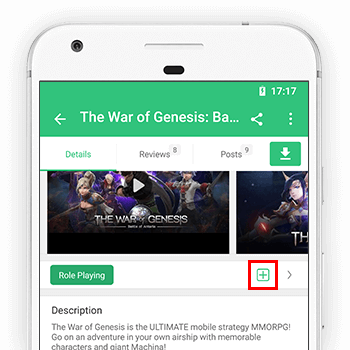 - Participate Arena, experience PvP battles with players around the world. - Make your way to the top of the battleground and gain glorious trophies. - Join and connect with other players to form a Guild. - Team up with your guild mates to become the best ones together and earn legendary rewards.